Paravel Wines is run by long time Napa vintner Jon Jones (originally from South Lake Tahoe). Jon was not always surrounded by the wine business – while studying music (the Trombone) at the University of California Santa Barbara he was introduced to wine through his roommates’ father who worked at Robert Mondavi Winery. He and his roommate visited the Napa Valley and took a tour of Mondavi where his roommates’ father was a senior wine educator. Jon remembers inquiring about working here and the reply was something like “if you want a job here, let me know”. 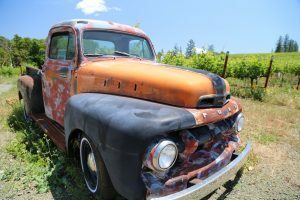 Jon eventually took him up on the offer and his career in the Napa Valley began by answering phone calls relating to the winery’s annual Summer Concert Series. This wasn’t exactly the job he had in mind but then he quickly discovered the winery lab; soon he was working here several days a week. Hands on experience in the business soon became his ally; Merryvale hired him for oenology work in their lab which was followed by several years working at Opus One and his current position as winemaker for Lava Vine Winery. 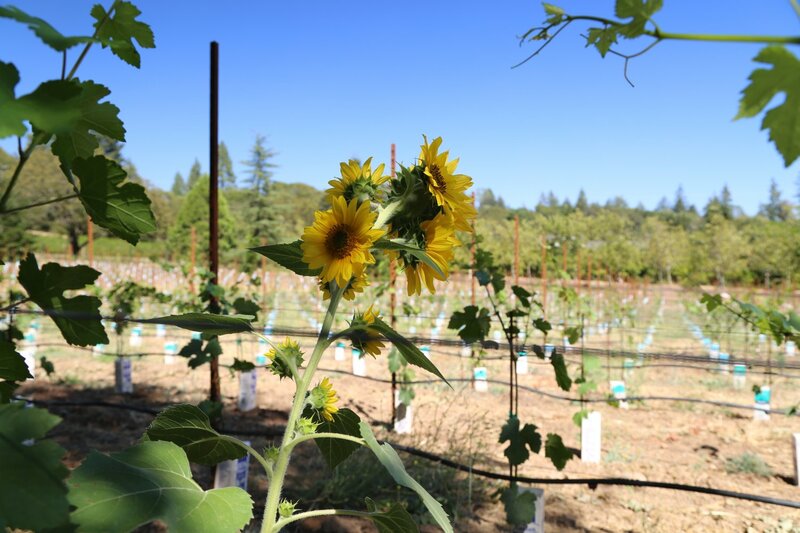 Jon has been working with the Henry Brother’s Ranch high on Howell Mountain since his first vintage. He sources from the same rows of Cabernet Sauvignon and Petite Sirah each year. 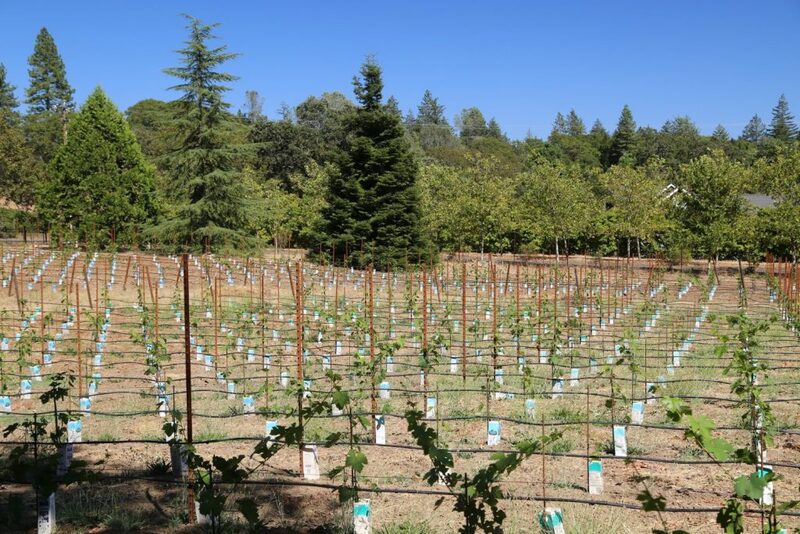 This 17 acre ranch (managed by three brothers) is located about half a mile from his home; fruit from these vineyards are highly sought after with several premium producers sourcing fruit from here each year. Jon hasn’t abandoned his musical career – he still performs occasionally but musical outlets have been channeled into wine making. He compares wine making to that of a symphony where musicians work together to create a harmonious sound – in wine making different nuances can be introduced from grape sites, barrels and style – he doesn’t want different characteristics to clash, rather he strives for balance in all his wines. In that regard he doesn’t necessarily consider tannins, bitterness or astringency bad components as long as they are in balance and managed correctly. His favorite varietal is Petite Sirah. He was introduced to it during blending trials at one of his previous jobs but then was seduced by a Behrens & Hitchcock produced Petite Sirah when he discovered a bottle of this wine in the Oakville Grocery wine section. He soon went on a buying spree of wines from this varietal and quickly realized too many Petite Sirahs were over bearing and overly tannic. He makes wines slowly – preferring a style that balances drink-ability young with the capacity to age. His wines have both of these characteristics. He prefers lower temperature open top fermentation – which tend to take longer to ferment to dryness. Barrel selection is key – he learned about the nuances of barrels while working at Opus One. And conveniently Jon makes wines at a small winery a few minutes drive from where he lives. He made his first Petite Sirah in 2008; wine from this varietal was the first wine made under Paravel (first vintage, 2011). Perhaps attracted to the mountains based on where he grew up in the Sierra Nevada’s he moved to Howell Mountain. And of all the AVA’s in Napa, Howell Mountain probably most resembles what you would find at a similar elevation in the Sierra’s. On a clear day from properties near his own home, you can actually see into parts of the Sierra Nevada mountains across the great Central Valley. In 2016, he planted about an acre of Petite Sirah in front of his Howell Mountain home (1352 vines to be exact). 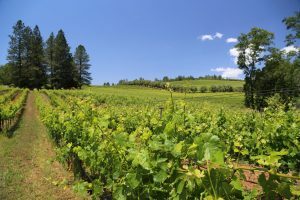 Some advised him to plant Cabernet Sauvignon – (common advice in much of the Napa Valley) but Petite Sirah is his focus and certainly a much rarer varietal in the area. And with the Henry Brother’s Ranch being a comparable site – with similar rocky soils in front of his home, his estate Petite Sirah should do quite well. 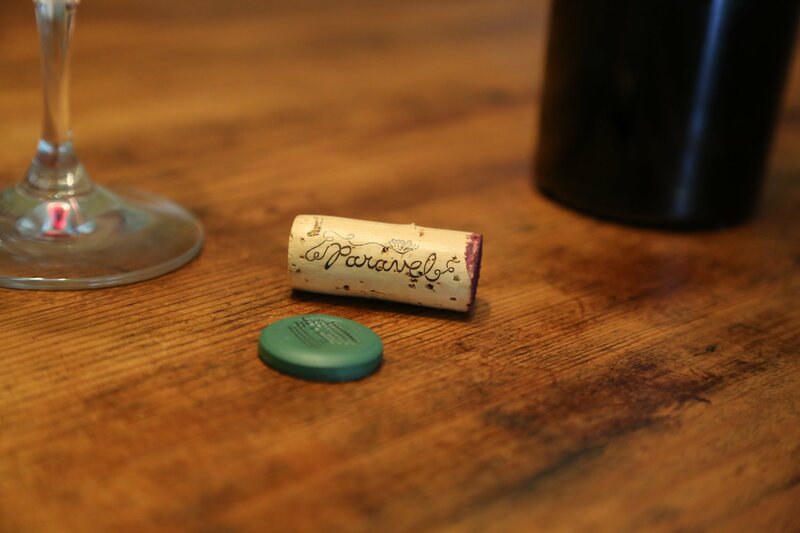 Petite Sirah inherently can make robustly structured wines – with as Jon says, “jagged edges”. In the mountains these jagged edges have to be further tamed and Jon has certainly done this with his wines. Despite using only an acre of land, the soils vary dramatically even within this small space. 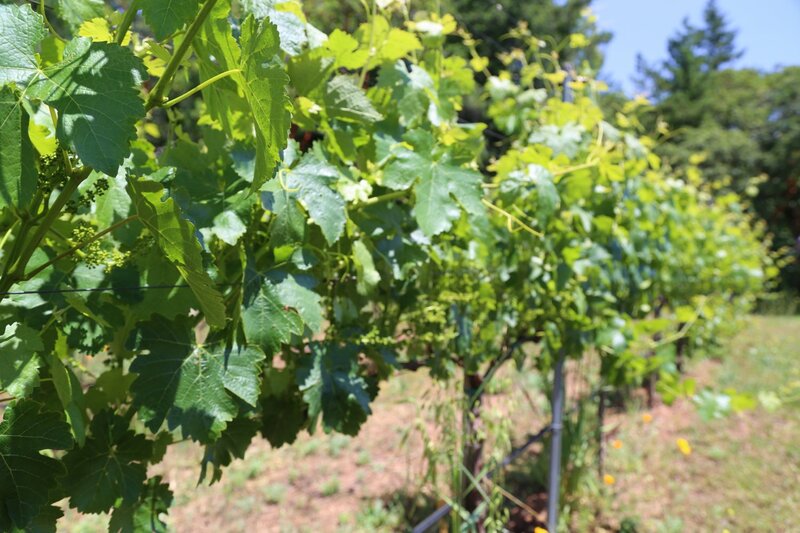 One part of the vineyard is especially rocky – with rocks starting only a few inches below the topsoil. Holes had to be specially dug to get the young vines established in this especially rocky part of the vineyard. Their first vintage from this tiny vineyard should be in 2022 or 2023. The 2013 Henry Ranch Petite Sirah is 100% varietal; it is coal black / inky dark in the glass as this varietal often is. The nose is intriguing with character – forest floor notes, mushroom, somewhat gamy with dark black fruit including blackberry and as the wine opens more layers of aroma are revealed including some notes of mocha. The mid palate is dense and rich with broadly distributed dusty tannins that linger for some time. This wine finishes juicy and is mouth watering with a fine balance of acidity, fruit and tannins. Only 82 cases produced. The 2013 Henry Ranch Cabernet Sauvignon was blended with 5% Petite Sirah. 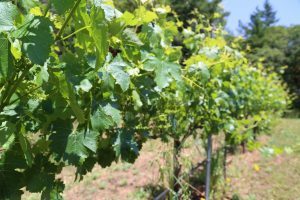 Remarkably Jon has noticed different flavors coming from vines in a single row (depending on their location within the row) as well as different ripening times throughout the row. The rows he sources from vary slightly in elevation from one end to the other. This wine has very pretty aromatics with a wide range of aromas especially as it is allowed to open. Hints of coconut, milk chocolate and at times dark cherry, red cherry and cassis. The finish is long with chewy earthy mountain tannins. Only 100 cases produced. 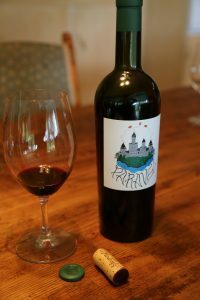 He named his wines Paravel, after the castle of Cair Paravel which was the capital of the Kingdom of Narnia in author C.S. Lewis’ The Chronicles of Narnia children’s fantasy books. This name is a nod to both imagination and the realities of life. The image of the castle on his label was drawn by Ben Henry (of the Henry Brother’s Ranch) and the butterflies represent his family. Paravel Wines (other than one outlet in Florida) has no distribution in the retail market, rather wine is sold direct to consumer via their mailing list and from various tastings Jon participates in. He is a member of the Howell Mountain Vintners & Growers Association – which includes two combined consumer and trade tastings each year – one in San Francisco in Spring and one at Charles Krug Winery in St. Helena in the summer (both very worth while tastings which includes only Howell Mountain based wineries and producers).